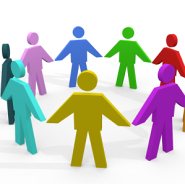 Patient Participation Group (PPG) is normally made of practice staff and patients that are representative of the practice population. In some cases, the PPG could be facilitated by patients with no practice involvement. The main aim of the PPG is to ensure that patients are involved in decisions about the range and quality of services provided and, over time, commissioned by the practice. Using the PPG, GP practices are encouraged to promote the proactive engagement of patients and to seek views from practice patients through the use of local practice surveys. The outcomes of the engagement and the views of patients are published below if this practice has a PPG.